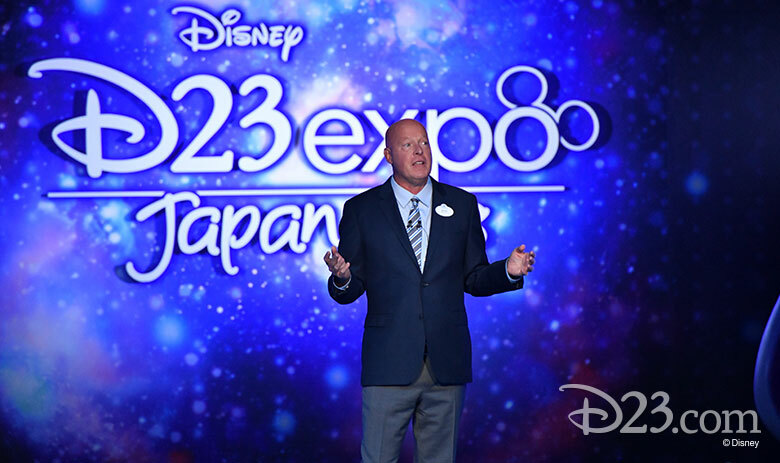 The day opened with Walt Disney Parks and Resorts Chairman Bob Chapek taking to the Maihama Amphitheater stage to outline some of the thrilling new experiences coming to Disney Parks around the globe. 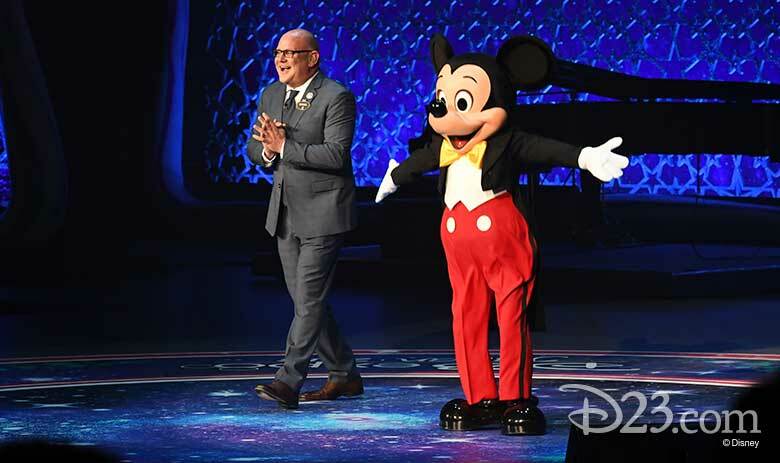 The show opened with an all-new video that looked at a child’s room (or perhaps that of a child-at-heart D23 Member)—each with areas dedicated to the beloved characters and stories of Disney, Pixar, Marvel, and Star Wars. 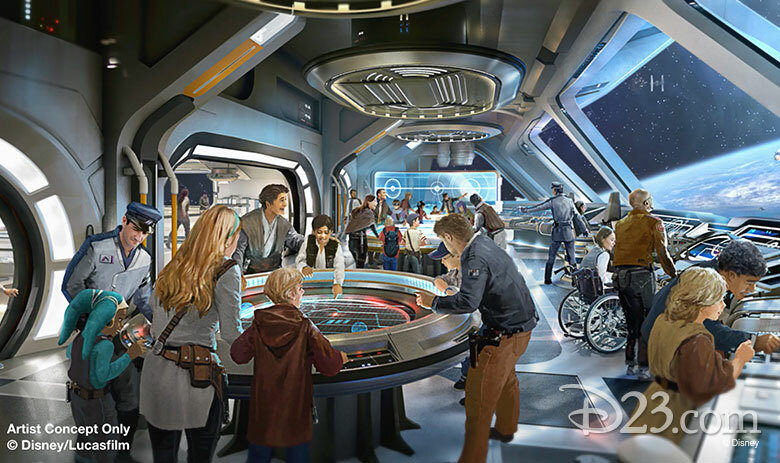 Bob went on to break exciting news about the new Star Wars-themed hotel at Disney’s Hollywood Studios, the first Adventures by Disney trip to Japan, new Marvel attractions coming to Walt Disney Studios Parks at Disneyland Paris and Hong Kong Disneyland, and much, much more. Check out our recap of the breaking news here. In addition to the exciting Parks news, Bob brought out a cavalcade of characters including Donald, Daisy, Goofy, Pluto, Chip, Dale, Woody, Jessie, Bullseye, Captain America, Black Widow, Star-Lord, Gamora, R2-D2, C-3P0, and, of course, Mickey and Minnie—who had a fabulous all-new costume change for every segment. We were partial to their Star Wars outfits, with Minnie rocking a BB-8 look! The presentation closed out with a musical number set to “Happily Ever After,” and the entire audience got into the act. 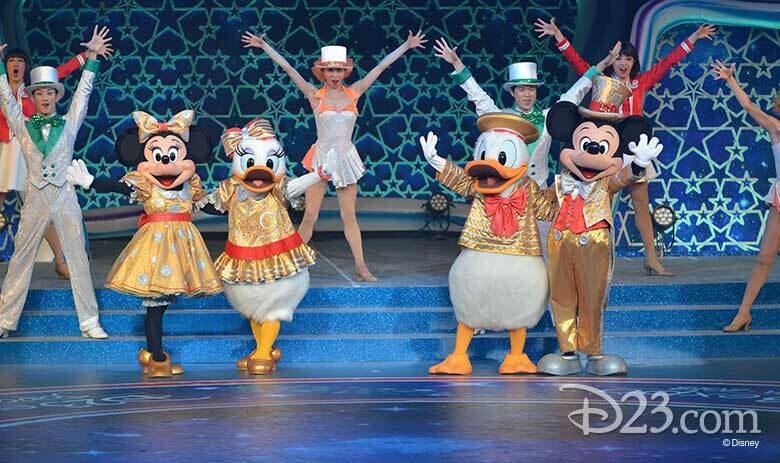 Donning “Mickey gloves,” 2,200 fans moved in perfect choreography as Mickey and friends took to the stage. The final panels of the day were a celebration of Disney character voices. Hosted by Rick Dempsey (a D23 Expo Japan favorite), the theme of this Expo’s presentations (so popular, it was held twice the same day!) was “Buddies.” The panel served as a character exploration and a concert, as Rick wonderfully navigated the talent and the stories, guiding the audience on an auditory adventure. 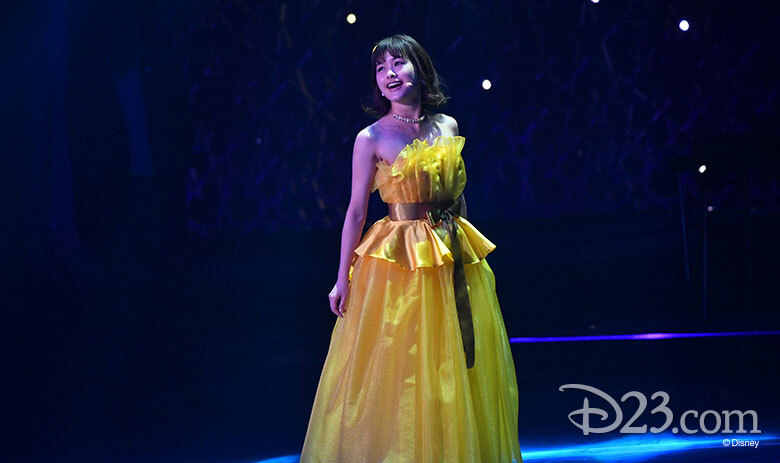 Natsumi Kon, who was the Japanese voice of Belle in last year’s live-action Beauty and the Beast, showed the audience how she captured the voice of Belle and performed a part of the song “Belle,” as well. 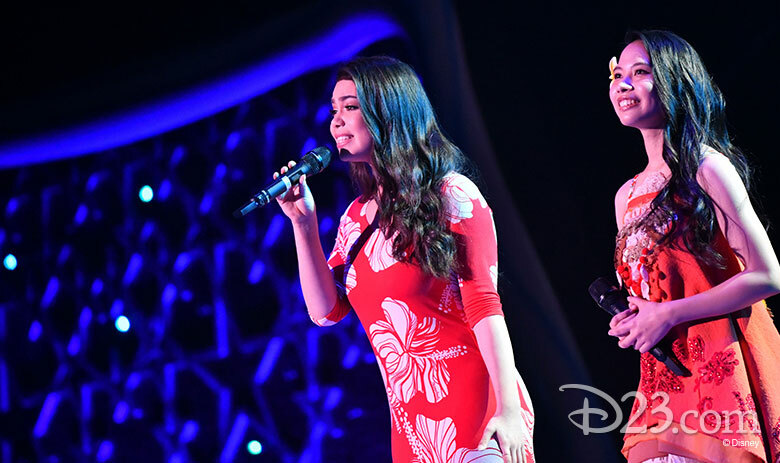 A highlight for fans was the “meeting of the Moanas.” Auli‘i Cravalho (the U.S. voice for Moana) was joined on stage by Tomona Yabiku, who voiced the character for Japan. 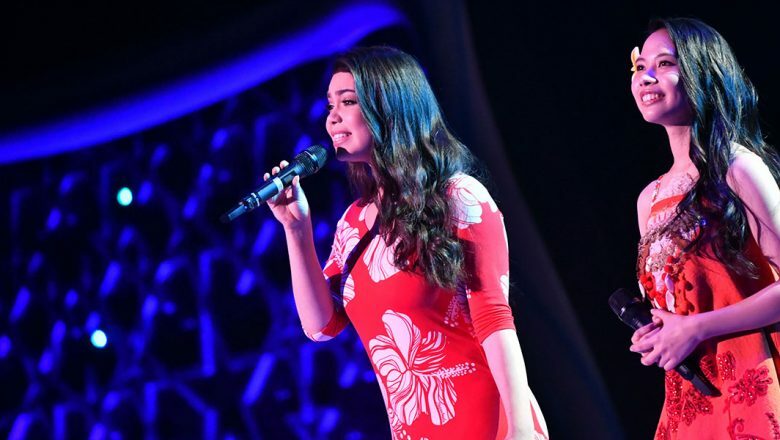 The two talked about creating the role of Moana before performing a dazzling rendition together of “How Far I’ll Go.” There wasn’t a dry eye in the house. 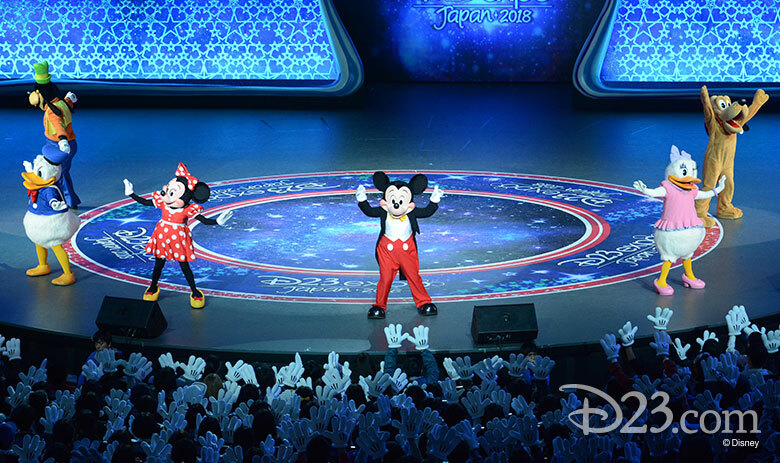 As the session came to an end, the audience enjoyed a version of The Lion King‘s “Hakuna Matata” sung by various artists around the world, before Mickey, Minnie, Donald, Goofy, and Pluto made one final appearance on the stage to close D23 Expo Japan 2018. It was a fantastic weekend, full of music, laughter, and stories; breaking news and beloved classics; favorite and new characters; and a lot of love for all things Disney. In other words, it was a D23 Expo. 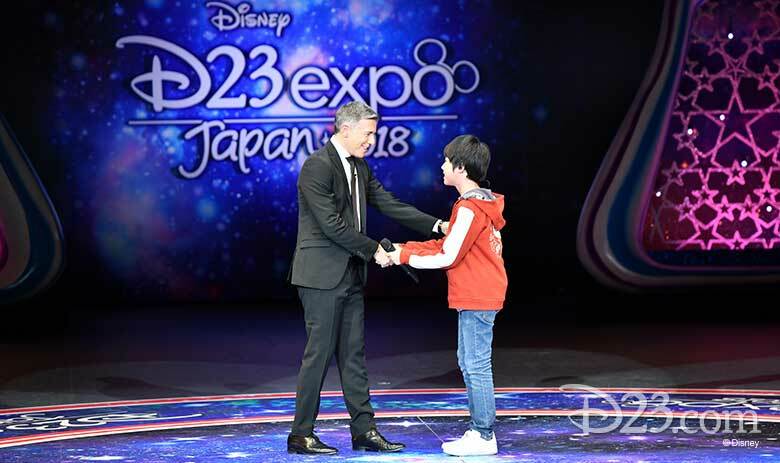 On behalf of all of D23, we say “arigato” to our wonderful fans in Japan who made the third D23 Expo Japan another unforgettable event. 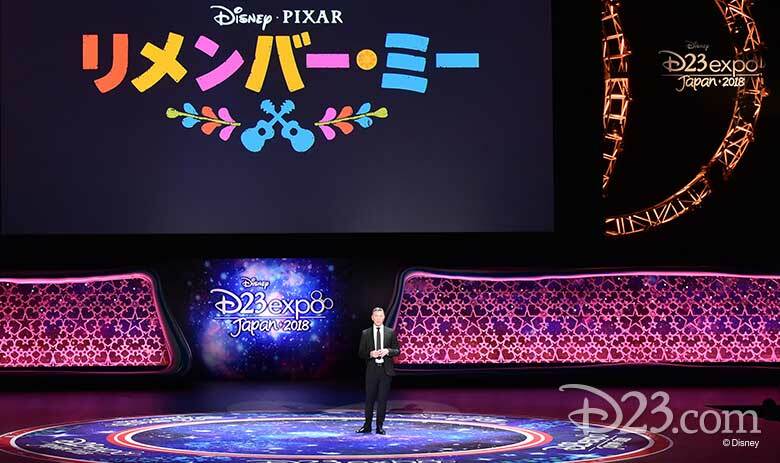 Spectacular dancing, beloved characters, exclusive movie sneak peeks, and incredible performances highlighted the second day of D23 Expo Japan. Building on the momentum of day one, Disney fans were on the edge of their seats for the amazing presentations in the Maihama Amphitheater on Sunday, February 11. 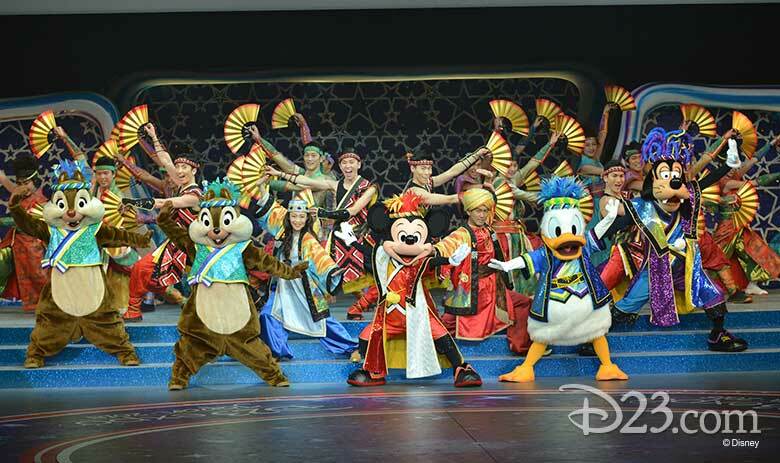 In preparation for Tokyo Disney Resort’s 35th anniversary, Oriental Land Company (which operates the resort) staged a presentation so jaw-dropping, they needed to hold it twice on Sunday to accommodate the crowds. Disney Legend Toshio Kagami, Representative Director, Chairman and CEO of Oriental Land Company (OLC), kicked off the festivities highlighting the beginnings of Tokyo Disneyland, which opened in 1983, to the phenomenal growth the resort has experienced over the past 35 years—including the addition of a second theme park, three magnificent hotels, a “resort line” (what we know as a monorail), and a vast entertainment and shopping district. And the resort continues to grow and evolve; Toshio spoke of the incredible enhancements coming (including a Beauty and the Beast-inspired area and attraction and the family fun Big Hero 6-themed attraction with Baymax at Tokyo Disneyland, as well as the addition of Soarin’ to Tokyo DisneySea). 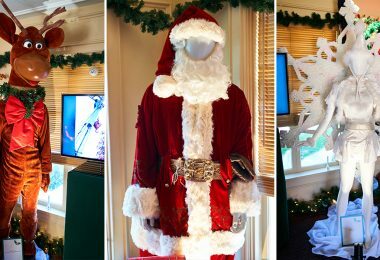 OLC’s president and COO Kyoichiro Uenishi followed Toshio to give additional details about the festivities for the resort’s 35th anniversary, which include a new parade, nighttime spectacular, and much more. 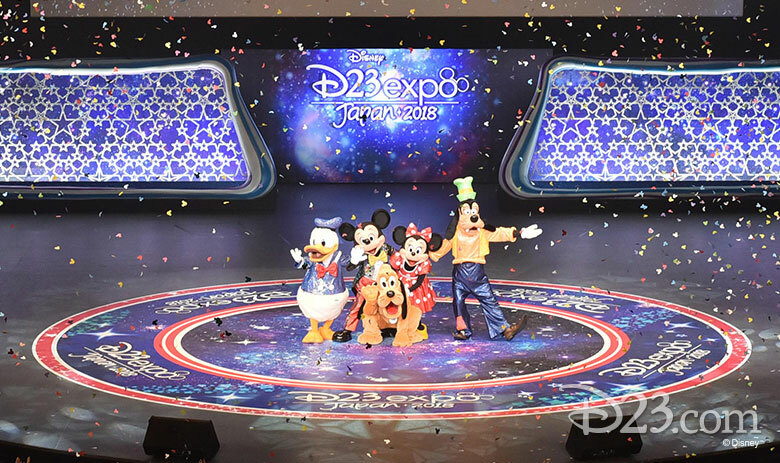 Always a highlight of the OLC presentation at D23 Expo Japan is the spectacle of music and dance, and this year’s event set the bar higher than ever. 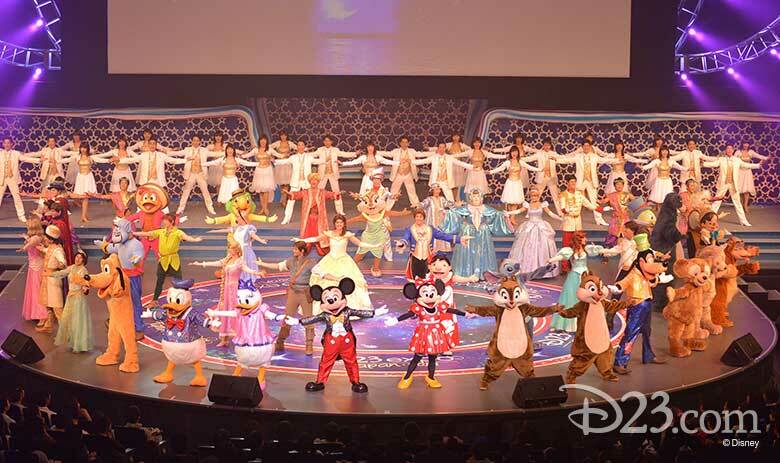 Dozens of singers, dancers, and beloved Disney characters took to the stage to perform fan-favorite musical numbers from the past 35 years of Tokyo Disney Resort. 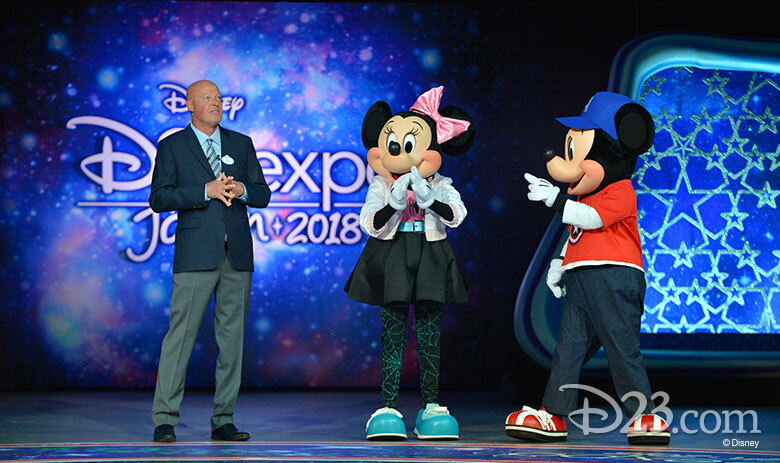 The audience clapped along to the pulsating beats and familiar melodies, which ended with close to 70 performers and characters on stage as Mickey, Minnie, Goofy, Pluto, Donald, Chip, and Dale revealed their new 35th anniversary celebration outfits to enthusiastic cheers from the crowd. 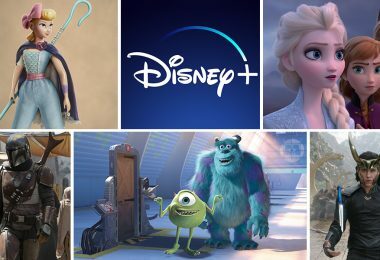 That evening, Walt Disney Studios President of Marketing Ricky Strauss once again took to the stage to take the audience on a journey through the upcoming films of Walt Disney Animation Studios, Pixar, and the Walt Disney Studios. 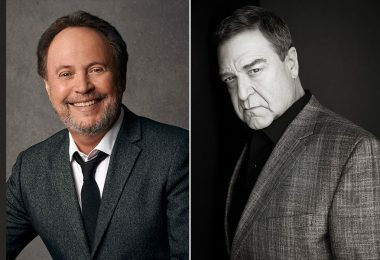 Strauss charmed the audience with his enthusiasm for upcoming animated films such as Ralph Breaks the Internet: Wreck-It Ralph 2, Incredibles 2, and Coco—titled Remember Me in Japan—which opens this March in the region. And Hiiro confessed he was thrilled to be given such a major role for his first big job. But the young talent showed he was indeed the right choice when he blew the roof off the amphitheater with a stunning rendition of the song “Remember Me” from the film. As he ventured into the Studios’ slate of live-action films, Ricky treated the crowd to peeks of A Wrinkle in Time, Christopher Robin, and Mary Poppins Returns, as well as 2019’s Dumbo, and revealed new footage for the first time. Ricky told the crowd that what Dumbo director Tim Burton has done is truly convey that “what makes you different is what makes you special.” The crowd saw that, next year, Dumbo will truly soar. To cap off the night, Ricky introduced a clip from next year’s The Lion King, a re-envisioning of the 1994 animated classic, which Jon Favreau is currently filming using state-of-the-art virtual reality cameras. Fans roared—pun intended—upon seeing “The Circle of Life” in a heart-pounding new way. 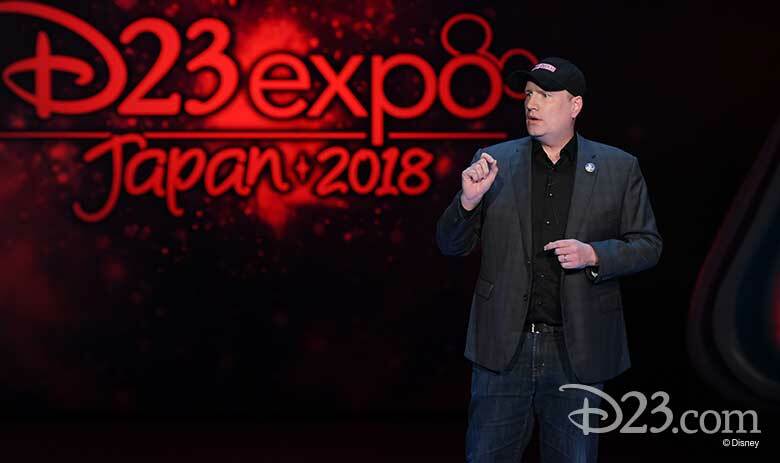 On Saturday, February 10, the third D23 Expo Japan began with typical D23 flair, as D23 Vice President Michael Vargo marched out with none other than Mickey Mouse to welcome guests to the Ultimate Disney Fan Event—Japan-style! 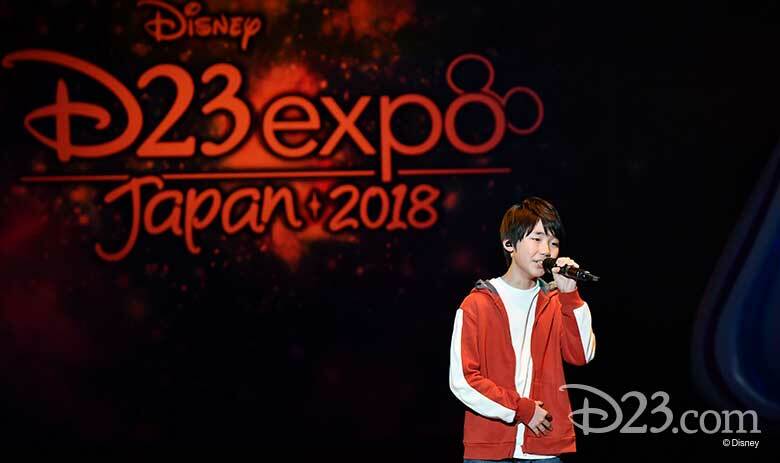 D23 Expo Japan is a unique D23 Expo experience created just for Disney’s fans in Japan. 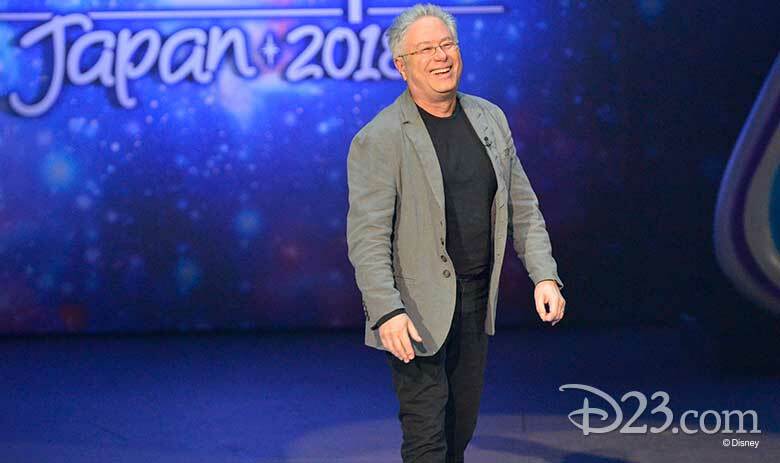 Over the course of three days, nine panels take place in the 2,170-seat amphitheater, including presentations from the Studios, Walt Disney Parks and Resorts, and Oriental Land Company (which operates Tokyo Disney Resort), as well as a concert from Disney Legend Alan Menken and much more. 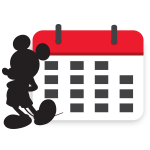 In addition to the main venue, in an adjacent theater space located in Ikspiari (a shopping complex, similar to Downtown Disney or Disney Springs), there will be screenings of popular TV shows, a sneak peek of Disney•Pixar’s Coco (which opens in Japan in March), and a big announcement from Kingdom Hearts. 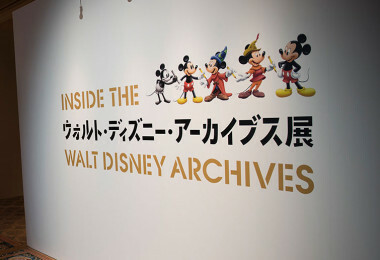 The Expo also boasts two robust exhibits, including Inside the Walt Disney Archives: From Mickey Mouse to Forever After, an all-new exhibit created just for the event by the Walt Disney Archives team, which will tour Japan for the next two years. Oriental Land Company also put together a fantastic exhibit to celebrate the 35th anniversary of Tokyo Disneyland. 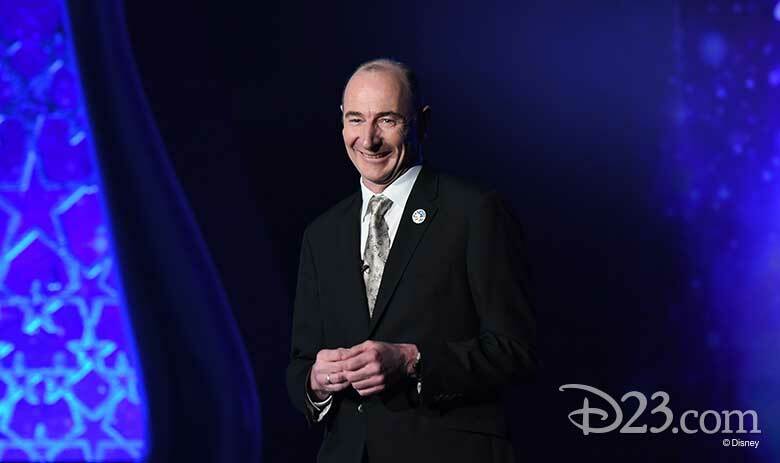 Following Michael’s welcome, the Opening Ceremony continued as Walt Disney International Chairman Andy Bird took to the stage to give the audience a number of incredible surprises. Naoto Kaiho, who recently played Quasimodo in the Disney stage musical The Hunchback of Notre Dame, performed a soaring rendition of the show-stopping number “Out There.” He was followed by Megumi Hamada and Kaho Shimada, who star as Mary Poppins and the Bird Woman, respectively, in the upcoming production of Mary Poppins in Tokyo. The pair sang a heartwarming rendition of “Feed the Birds” to thunderous applause. But the surprises didn’t end there. Andy then treated fans to an advance look at the rousing “Un Poco Loco” number from Coco, which had never before been screened for a Japanese audience. 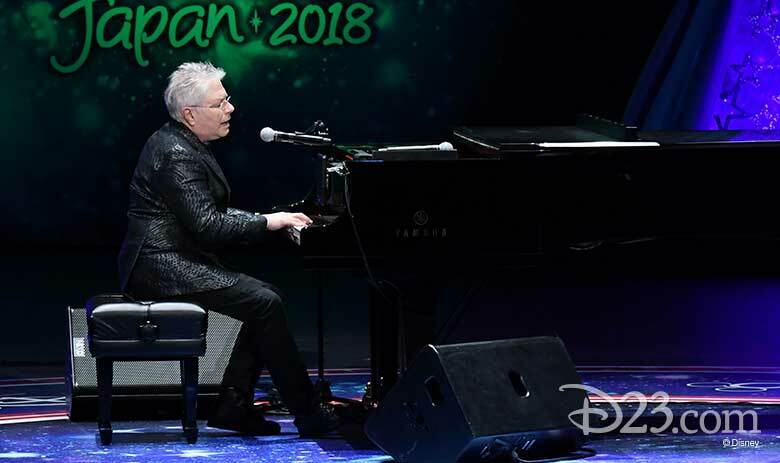 And to cap things off, he brought out Disney Legend Alan Menken for a preview of his sold-out concert, taking place later that night. Alan performed a moving rendition of “Evermore,” which he wrote for the live-action hit Beauty and the Beast, and rounded out his performance with the film’s title song. 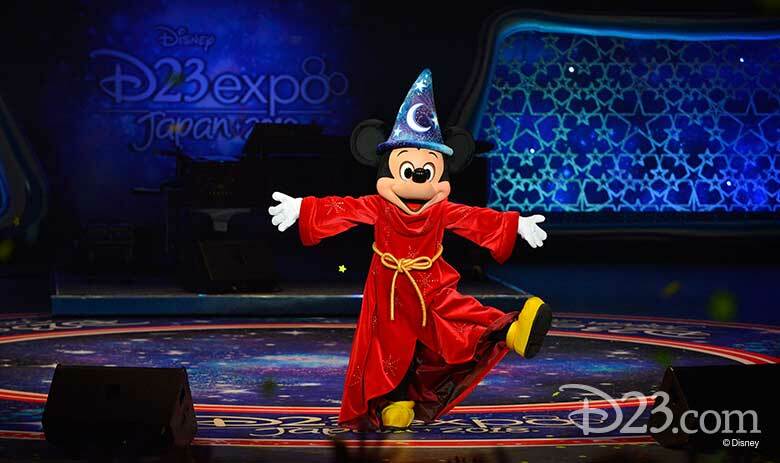 Alan and Andy then welcomed Mickey (now in his sorcerer attire) back to the stage. The crowd clapped along as Mickey “conducted” the beloved finale from Fantasmic!, followed by not one, but two confetti bursts. One of the most highly anticipated experiences of the day was the Kingdom Hearts Fan Event. 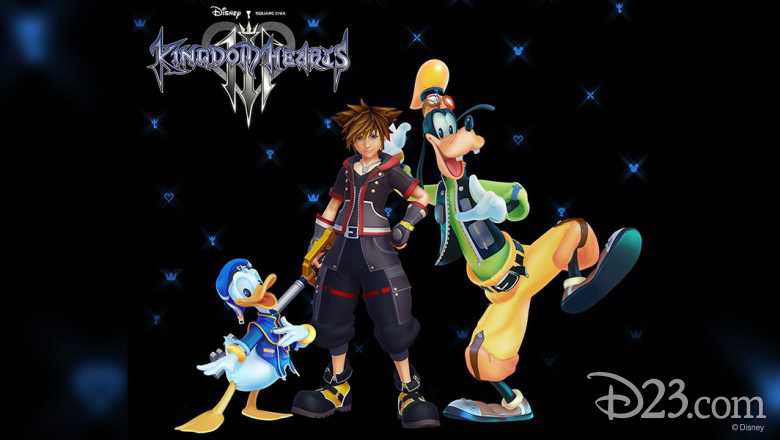 Fans of this beloved video game—which brings together the different worlds of Disney—gathered in hopes of more news about Kingdom Hearts III, which was announced for a 2018 release during D23 Expo 2017 in Anaheim. Well, the fans were not disappointed! A new trailer revealed a brand-new Monsters, Inc.-themed world, along with new monster designs for Sora, Goofy, and Donald. Fans also got to hear the new theme song for Kingdom Hearts III , “Don’t Think Twice,” by Utada Hikaru. 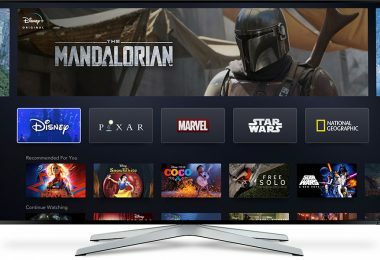 Next up, The Walt Disney Studios presented a special panel dedicated to Marvel and Star Wars. 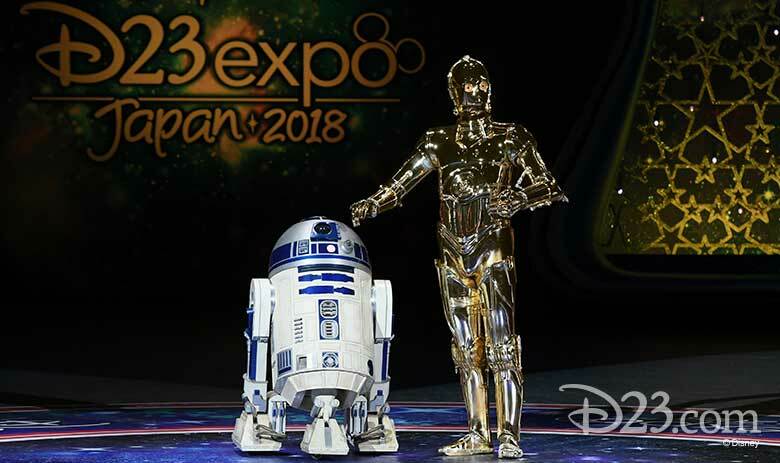 Marketing President Ricky Strauss was brought to the stage by none other than R2-D2 and C-3PO to talk about the massive success of the Star Wars saga… and give a peek at what’s to come. J.J. Abrams, hard at work co-writing Episode IX before directing it this summer, filmed a special greeting for the audience. And then Ricky unveiled never-before-seen, behind-the-scenes footage from the upcoming Solo: A Star Wars Story. 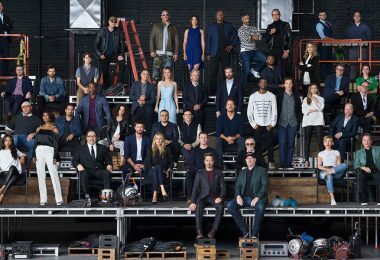 Ricky then welcomed none other than Marvel Studios President Kevin Feige to the stage. Kevin, fresh back from a visit to the Tokyo DisneySea theme park, noted how 2009 was an important year for him on a couple fronts… “2009 was the year Marvel became part of The Walt Disney Company and, coincidentally, it was the same year D23: The Official Disney Fan Club was founded,” he noted. 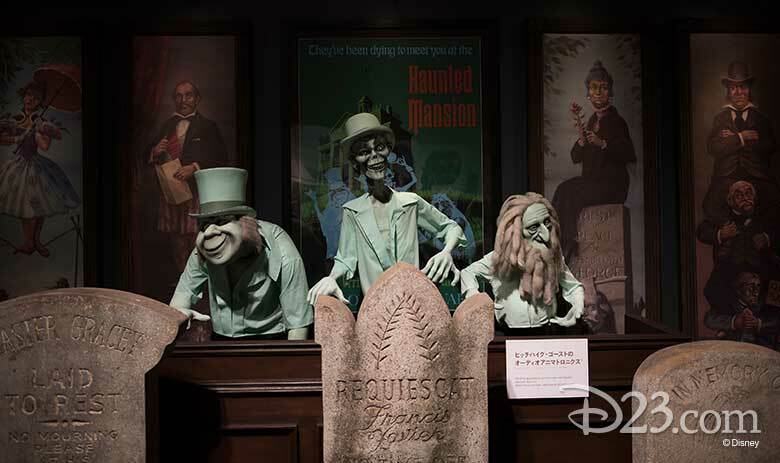 “I’m proud to say that I was one of the very first D23 members.” (Needless to say, so are we!) 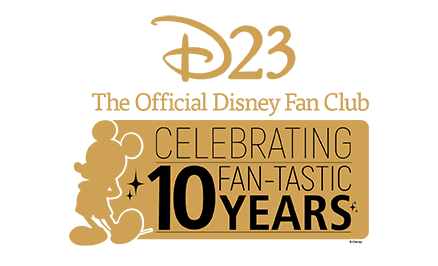 Kevin treated the audience to sneak peeks of Marvel Studios’ Black Panther, Ant-Man and the Wasp, and Avengers: Infinity War. Plus, Kevin also shared a Marvel-ous video greeting to the audience from some of our favorite Super Heroes—including Chris Pratt, Tom Holland, Elizabeth Olsen, Don Cheadle, and more. That evening, Alan Menken performed his spectacular one-man-show A Whole New World of Alan Menken to an enthusiastic audience. Alan performed this show at D23 Expo in Anaheim last year, so anyone who was lucky enough to see the show there knows how charming Alan is. He regaled the audience with stories, in-between renditions of some of his most beloved songs. A fitting finale for an amazing opening day.